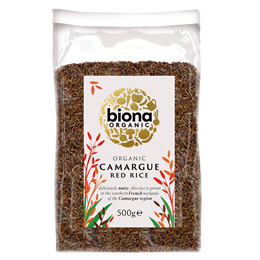 Biona`s Organic Camargue Red Rice is grown in the southern french wetlands of the Camargue region. It adds colour and a delicious nutty flavour to your favourite dishes. Place 125g of Camargue Red Rice and 250ml of water in a saucepan. Bring to the boil, cover with lid and reduce heat. Simmer for approx 35-40 mins. Stir occasionally. Packed on a site that also handles of nuts, sesame, gluten and soya. Below are reviews of Biona Organic Camargue Red Rice - Wholegrain - 500g by bodykind customers. If you have tried this product we'd love to hear what you think so please leave a review. 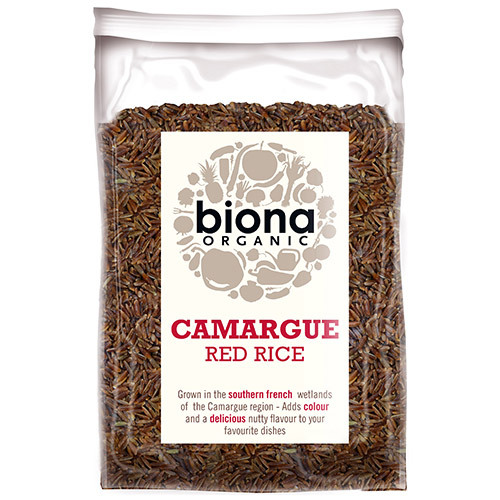 Biona`s Organic Camargue Red Rice is grown in the southern french wetlands of the Camargue region. Adds colour and a delicious nutty flavour to your favourite dishes.